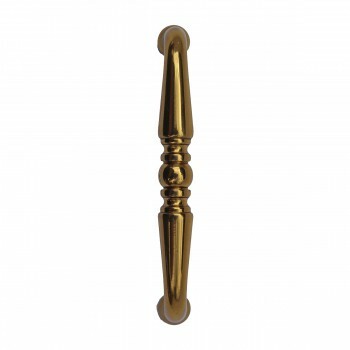 Feature a distinctive, bail design? 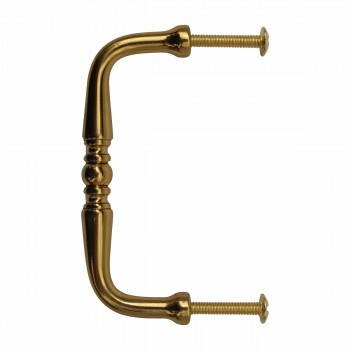 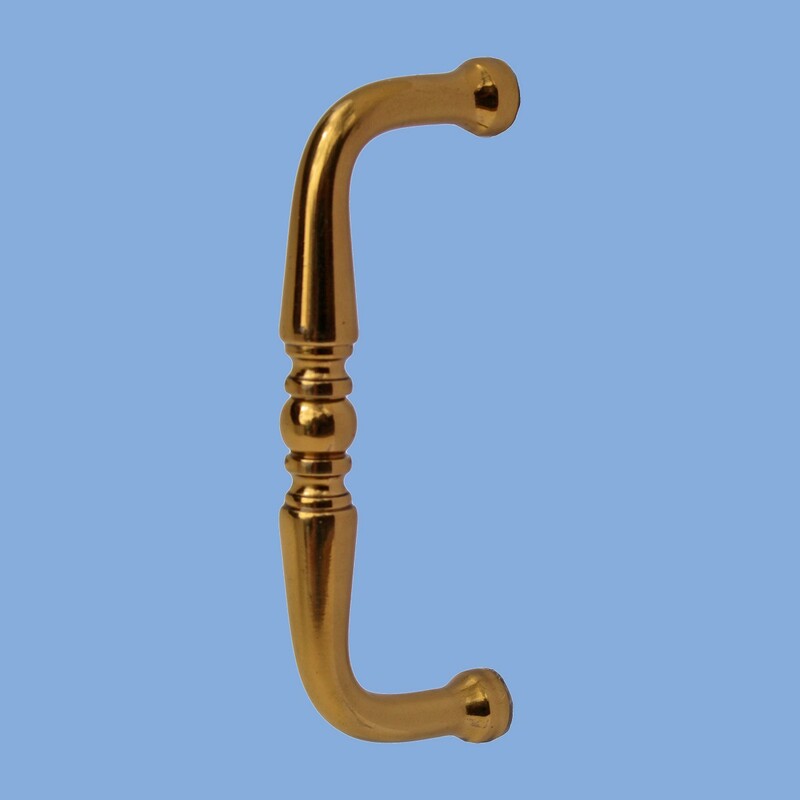 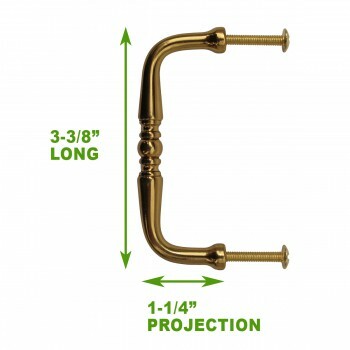 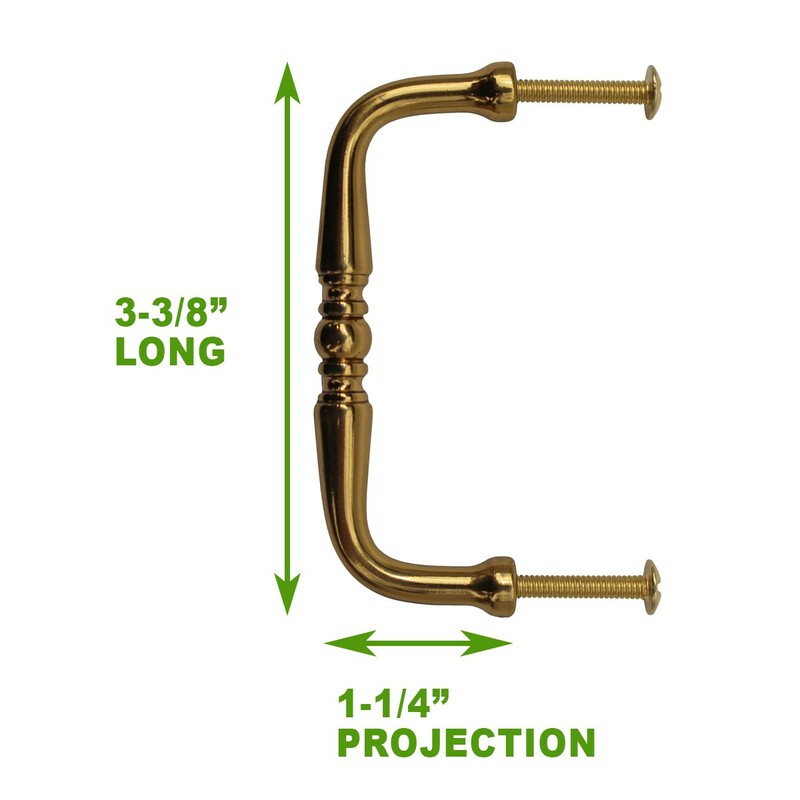 This bright brass pull has a 3 in. 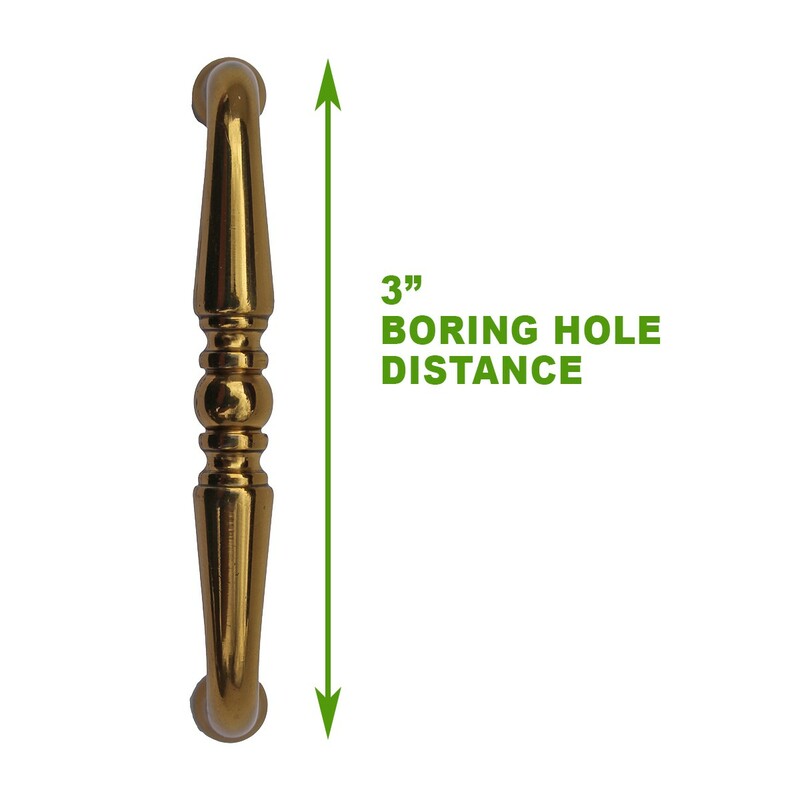 boring and it projects 1-1/4 in. 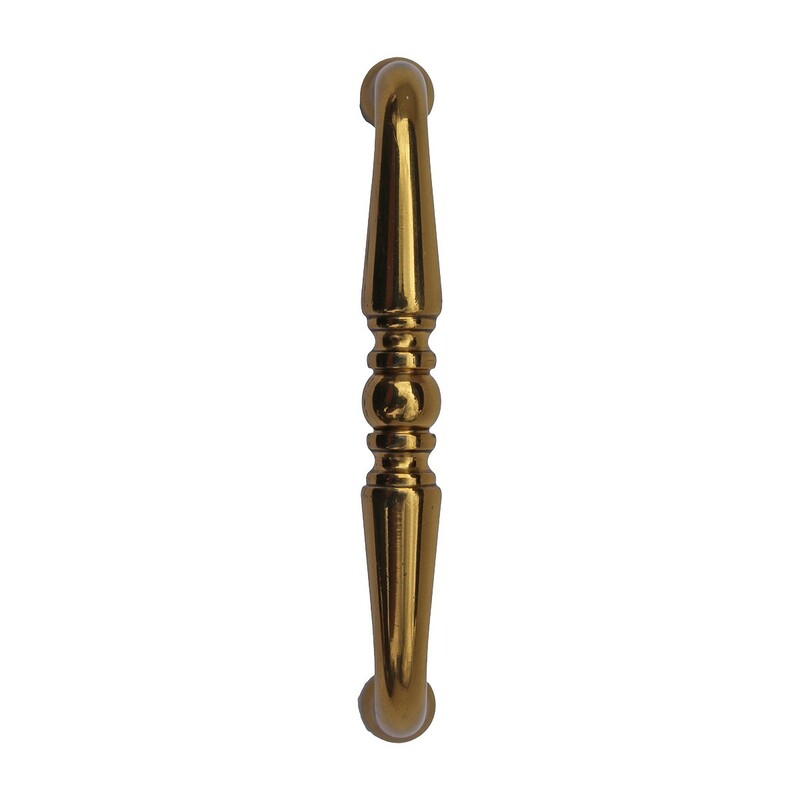 The slim and delicate shape attaches to the drawer from a solid circle backing 3/8" diameter and the pull itself is 3/8 in. at widest point. 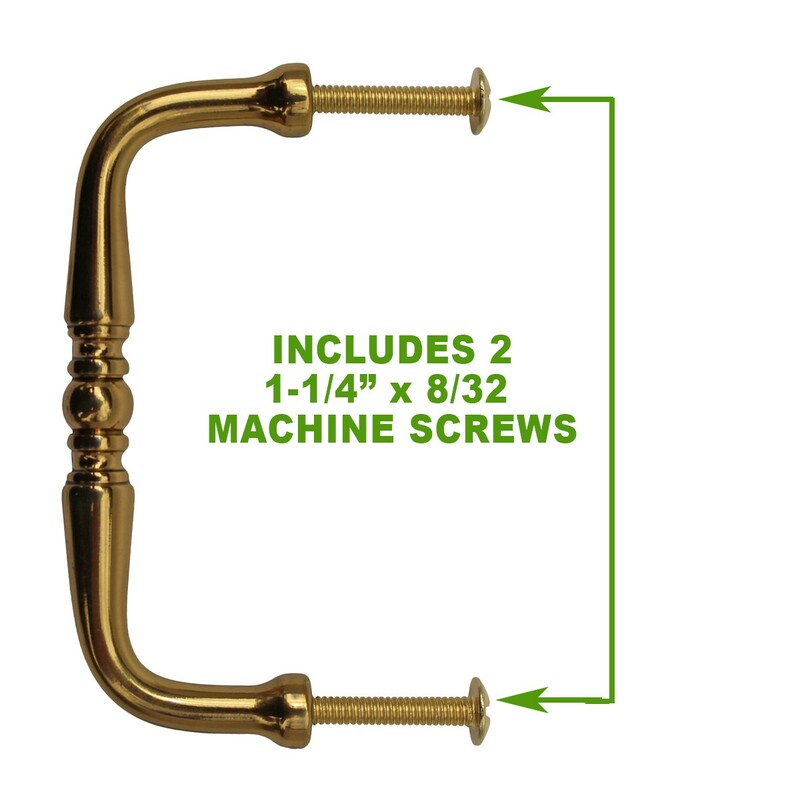 It includes (2) 1 1/4 x 8-32 roundhead machine screws. Base washers are not included.